AEX is a Chinese cryptocurrency exchange that is available in both – English and Chinese. The exchange is popular for its giveaways, bonuses and rewards that are an integral part of their operations now. They might be Chinese, but they are registered in United Kingdoms. As they were launched recently, there is not much information available about them online. In this AEX review, we have tried to uncover all the sites functionality and operations to give you a well rounded view of the exchange. There are a lot of disruptive ideas that new cryptocurrency exchanges are coming up with, let’s see what AEX has to offer. The AEX cryptocurrency exchange was launched on October 19, 2017, which very much puts it in the infant category of exchanges. Despite their newly launched operations, their trade volume is soaring on a daily basis. As per the data from coinmarketcap.com, the overall trading data of AEX is around $25 million in last 24 hours, which is a decent volume given the time since it started operating in the cryptocurrency market. The brains of AEX belong to those who are are behind btc38.com (founded in 2013). AEX could be called the successor of btc38.com. The current CEO of btc38.com is Tame Huang, and he ‘might’ also be the CEO of AEX but there isn’t any information to confirm that. BTC38.com had many issues and red-flags, which was making it tough for them to retain their users or invite new users onboard, hence the launch of AEX, which is an English version of btc38.com, but very different from the parent-website. AEX currently has a hub of cryptocurrencies and ICOs available for trading. The total number of currencies available on the platform 50, which is quite a lot considering the fact that they are very new in the market. They also have USDT (United States Dollar Tether) and BitCNY (Bit-Chinese Yuan) available, users can purchase almost every cryptocurrency using USDT. The fact that there are a lot of pairs available means that users can profit by just staying on the one platform. To complete AEX review, we must talk about its functions, operations, advantages and disadvantages. First off, lets highlight the positives. On AEX, you will find all kinds of cryptocurrencies. From major crypto-assets to ICOs, and even tethers of fiat currencies, there is a hub of currencies available for users to easily diversify their portfolio. The crypto-assets available on AEX are – Bitcoin, Bitcoin Cash, Ethereum, Litecoin, Ripple, DogeCoin, Dash, ZCash etc. Some popular ICOs that you can buy at AEX are – IGNIS, OMG, ARDR, XZC, NXT, INF, XLM, SNT, WIC etc. You can also trade in two popular tether currencies here, namely – USDT (United States Dollar Tether) and BitCNY (Chinese Yuan Tether). AEX has a variety of cryptocurrencies and ICOs available. Users do not have to migrate to other platforms to buy something they want to. They can easily diversify their cryptocurrency portfolio just staying on the AEX platform. They have USDT and BitCNY available on their exchange. USDT (United States Dollar Tether) and BitCNY (Bit-Chinese Yuan) are popular fungible tethers developed for United States Dollar and Chinese Yuan. These are fiat-cryptocurrency hybrids whose prices depend upon the fiat currency, mostly. Many exchanges do not offer direct buy/sell option in fiat currency (like USD), but they do offer tethers of the same currency (USDT). For the tether currency’s value to be equal to the fiat currency, it should be redeemable at any moment. Currently, you can convert USDT to USD only in Kraken cryptocurrency exchange. Even AEX does not provide the option of converting tether to fiat. AEX has an easy way of registering on their website, barely taking any time. You just need to provide an email ID and a strong password. To verify yourself as a human and not a bot, you will need to enter a Captcha code at the end. Once it is done, you will receive a verification email on the ID that you provided. Using the link in the ID, you can verify your account, and that’s it! AEX encourages and urges its users to enable 2FA (two factor authentication) on their devices. Even after registering, you will continue to see an orange bar at the top, reminding you to enable 2FA for added layer of security. 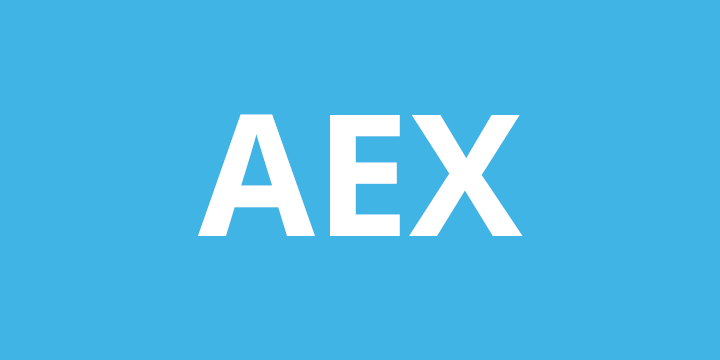 Another feature of AEX is that you can create an anonymous account. You do not need to submit any kind of documents to verify your account. You only need to link your email ID on which you will receive important emails and notifications. The interface of AEX is simple to understand and easy to use. The user-friendly website makes it easy for new users to understand and get to grips with the website. With the availability of Bitcoin Cash and Ethereum Classic, AEX obviously supports major forks. They also reward users with free coins from the forks, which is a welcoming step for a new exchange. Holding TMC, also known as TimeCoin (a cryptocurrency), can also get you bonuses on aex.com. AEX has a unique way of rewarding their users, and one way is by providing bonuses to TMC holders. There is clearly a relationship between AEX and TimeCoin! AEX also rewards its users by AEX Candy, something that is different from other reward systems. Here you have to spend more than 1 BitCNY (Chinese Yuan Tether), to enter a contest, in which rewards are randomly given to the selected users. Lastly, the biggest advantage to AEX users is the low fees to trade. They only charge 0.05% fees for trading, which is cheaper than some of the very cheap exchanges. Binance has one of the lowest fees but they still charge 0.1%, AEX charges half than that! AEX does not provide users the freedom to buy cryptocurrency using fiat currency. Meaning that everything like PayPal, debit cards, credit cards are useless at AEX. You can only trade cryptocurrency with cryptocurrency, therefore you need to send any cryptocurrency you have to the AEX wallet from your external wallet. AEX does not have a mobile application. They are only available through web-browsers, on both desktops and mobile devices. Back in December 2016, btc38.com was hacked and $1.5 million dollars were looted from it. This raises the security concerns for AEX. It might be too quick to judge the platform as it has been launched, but given the history of hacks on btc38.com, users have a right to be concerned. On some coins, the trading volume is kept small. It may be due to low liquidity or because of lack of availability, but that does hamper the flow of a user’s transaction. Majority FAQs listed on the website are in Chinese, which is a minor issue, but it still poses a difficulty for users who are non-Chinese speakers. Signing up on AEX is simple and easy. You do not need to provide any documents or government issued ID, since the account needs no verification. The users only need to provide a valid email ID, set a strong password and that is all. You will receive a verification email with a link on which you have to click. With one click, your account will become active, and you are now free to trade. You must however, enable 2FA (two factor authentication), for added protection to your account. AEX will give you a regular notification once you have registered for an account, which will annoy you until you do it. Apart from 2FA, they also talk about handing out private keys to all their users and having a multi-dimensional protection system. AEX have some of the lowest fees on the market at the moment. The standard fees it charges on most major cryptocurrencies is 0.05%. Binance charges its users 0.1%, while Bittrex charges 0.25%. If we talk about some giants like Coinbase, they charge 1.5% fees from their users. Given the situation, AEX is providing a competitive model for their users. It has different fees on withdrawal however, for BTC they charge 0.001 BTC, for Ethereum they charge 0.01 ETH and for Ripple they charge 0.5% of the total volume you are withdrawing. Which obviously then depends on the price of those cryptocurrencies and could be expensive. You can check out their withdrawal fees for various other cryptocurrencies in the image below. As most of the FAQs are available only in Chinese, it makes it very difficult for non Chinese speakers to have their questions answered. They must focus on improving the readability of the website, if they are inviting users from across the world. The translations also lack in some areas, which again is an issue. They do not have a live-chat system for users across the world, nor do they offer a phone line. They do have a ticket-raising platform, which takes some time to solve your grievances. All in all, their customer service isn’t great. AEX is a good platform overall, but they must improve on the areas they lack in to retain the users for the long-term. Users have more options these days, but exchanges have only one, and that is to improve their functionality and enhance the experience of the users by providing smooth and quick customer support.